Mission statement templates and tools can be readily found online. Shortly we'll introduce the mission statement tool we recommend, but first let's discuss why the mission statement is so important to the future of your business. Successful business leaders will tell you that those who have clarity about what they want, often get it. It makes perfect sense because when you have something clearly in your mind that you are passionate about, you'll naturally gravitate toward it. 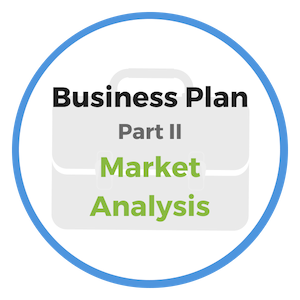 Having a well-prepared mission statement will provide the clarity you need. On the other hand, if you don’t set your goals based upon a clearly defined mission statement, you may find yourself following a path that doesn't take you where you thought you were going. The mission statement should be something that inspires you, your customers and all key stakeholders - it can be as short as a few words, or as long as a few sentences. Use it to make clear to the world what your organization is about and what you stand for. When a prospective employee is considering taking a position at your company, the mission statement should help that individual to make their decision. 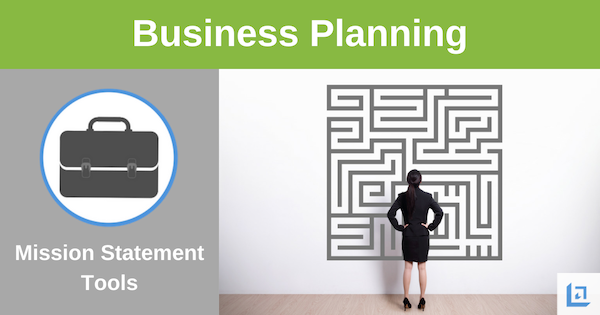 If a customer is considering doing business with your establishment, the mission statement can assist in their decision-making process. 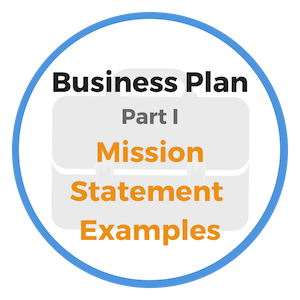 Most leaders will use a mission statement template to get started and will enlist their entire team to define the mission of the business. Through team discussions, employees will add great value to the mission statement process. Only through a collaborative team effort, can the mission statement become the battle-cry of your organization. In order to assist you in creating a powerful and effective mission statement, we've researched tools and templates available online at no cost. While there are many available to choose from, we recommend a mission statement template that is offered by the Nightingale company. While their tool is touted as a personal mission statement template, it can just as easily be applied to your business. The late Jim Rohn once said,"You cannot change your destination overnight, but you can change your direction overnight." When you create a mission statement for your business, the direction of the business, under your leadership, is set into action. Take the time necessary to gather together your team and all key stakeholders. Work together to create a mission statement that makes you proud and inspired. Use this simple Mission Statement template to get started today. "When you discover your true mission, you will feel its power. It will fill you with enthusiasm and a burning desire to get to work on it." What you allow your mind to focus on has a great deal to do with the level of business success you will achieve. You have the ability to control a great deal of what comes into your mind by becoming an avid reader. It is impossible to overstate the value that positive books, magazines and audio tapes can have on your life and business. If you were to take a sheet of paper and list on one side all of the negative and unhelpful messages you’ve received through advertisements alone; then on the opposite side of the page you listed all of the quality books and assorted literature you’ve indulged in – how would the two lists compare? "Great businesses are created by effective leaders who articulate a clearly stated mission." If the list of bad easily outweighs the good, then this is an area you must tackle. You must be in control of what you allow into your mind. If you do not control the messages you receive then you leave yourself open to all sorts of negative impulses and bad habits. How many people are bankrupt today simply because they were influenced to buy anything and everything on credit? How many addicts are created each year due to the heavy promotion of over-the-counter drugs? The messages we receive do have an influence on us. Our mind and body can be either positively or negatively impacted based on the messages we allow in. Too many people do not actively manage these messages. There is no system of gate-keeping that is in place to protect and guide us as we are constantly deluged with product and service endorsements. However, if you have clarity about your personal goals, you'll be less likely to be distracted by all the negative noise. Go back now and use the mission statement template for your personal life. This will help you to define what's important in your life so you can become a better and more effective gatekeeper. 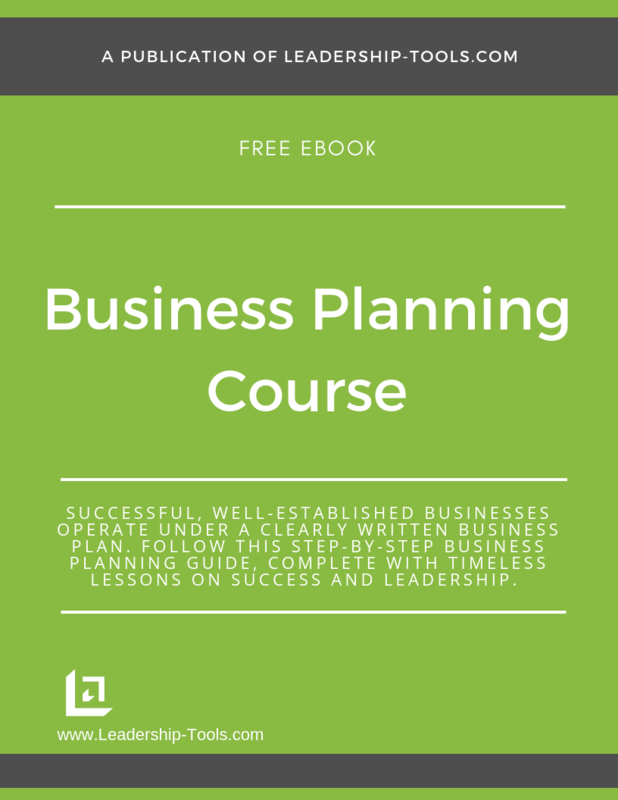 To download our free Business Planning Course/eBook, complete with details on the mission statement template and step-by-step instructions for planning the future of your business, simply subscribe to our free newsletter. You will immediately receive a password that grants access to our entire leadership tools library.